Why do we have trainee representatives? MRCP(UK) develops and delivers examinations to test the knowledge and skills of doctors in training both in the UK and around the world. UK trainee doctors are key stakeholders in the examinations who are able to provide a unique perspective on the content and relevance of the examinations through their everyday experience working in the NHS. Trainees’ direct contact with the topics that are covered in the examination helps to provide a link with the senior clinicians who prepare the content. MRCP(UK) regards these insights as essential to the development of examinations and places great value on involving trainee representatives in its decision-making processes. Therefore, trainee representatives are appointed to sit on MRCP(UK) boards and committees. Trainee representatives are full members of their respective boards and committees. They actively participate in their work and other projects between meetings. The roles vary between the boards, but the main responsibility is to promote the viewpoint of the trainee in the development of the MRCP(UK) examinations, by contributing to discussions about strategy, policy, and academic issues. and working with members of MRCP(UK) Central Office to review policies and communications for candidates. 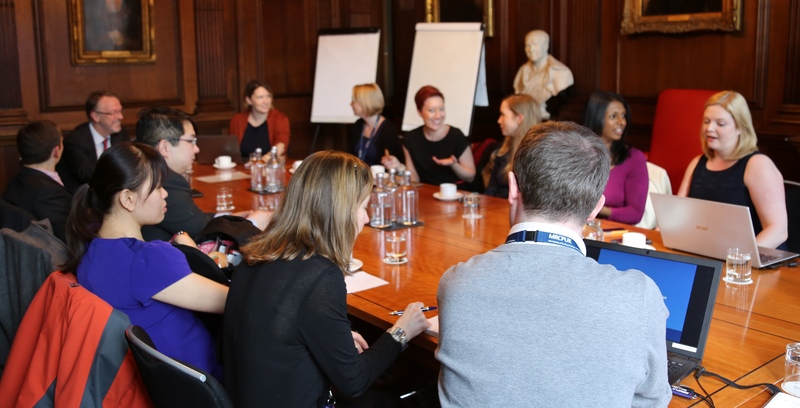 MRCP(UK) works closely with the College Trainee Committees (in Edinburgh, Glasgow and London) to keep them up-to-date about recent developments in the examinations and to get views about any proposed changes. MRCP(UK) provides opportunities for the trainee representatives to communicate with each other and provide updates on the work of their boards. It also holds a regular forum to provide an opportunity for the trainee representatives to meet up to discuss common issues and share ideas across their different areas of work. Who are our trainee representatives? are up-to-date with relevant national guidelines, and the requirements of training programme . The time commitment varies according to the role. Members of the Management and Policy Board and AQMRC are required to attend four half-day meetings per year and members of the examining boards are required to attend three two-day meetings a year. The meetings rotate around the three Colleges. Trainees are appointed for three years and their attendance at meetings is closely monitored.